We are very much looking forward to our Open House Sunday! 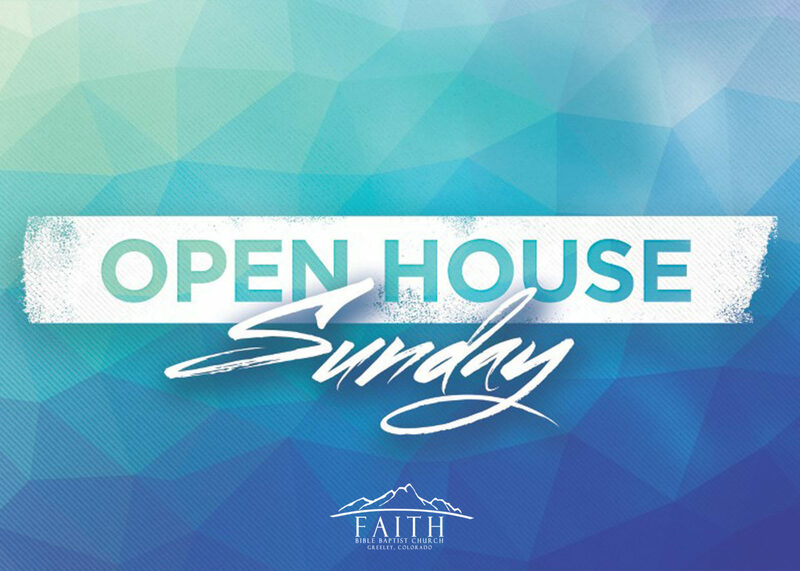 This will be a special service designed for you and your family to see what Faith is all about. We have many ministries that can help accommodate your family and their specific needs. Following the 11:00 am service we will have a free meal for all of those in attendance. We also will have lots of activities for the little ones such as snacks, face painting, and a bouncy house. Don’t worry adults we also will have some activities lined up just for you as well. We hope you will join us for this family-friendly event. Oh Ya! Did we mention it’s free!!! Hope to see you there on Sunday, May 5th at 11:00 am.